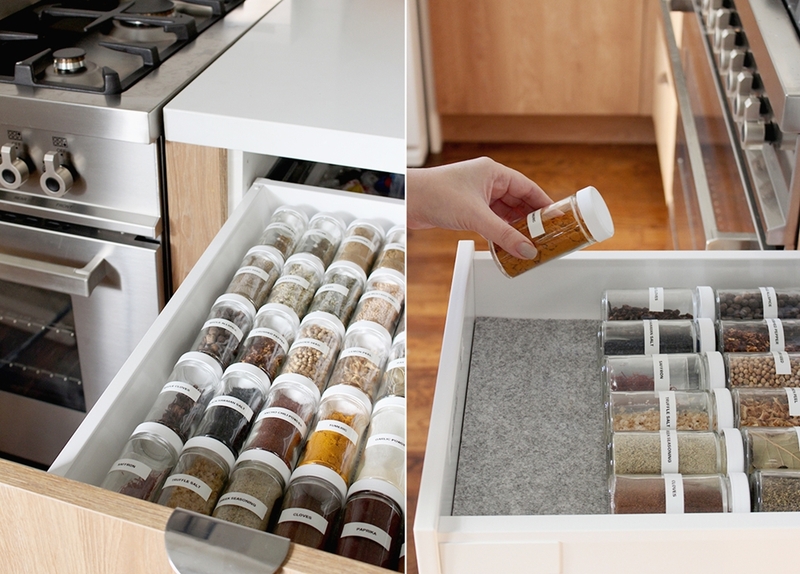 If you have a shallow drawer right next to the cooker then you can transfer all your spices and herbs in equal sized slender jars and line them up inside the drawer. It will be a good idea to label all the jars for ease of use. 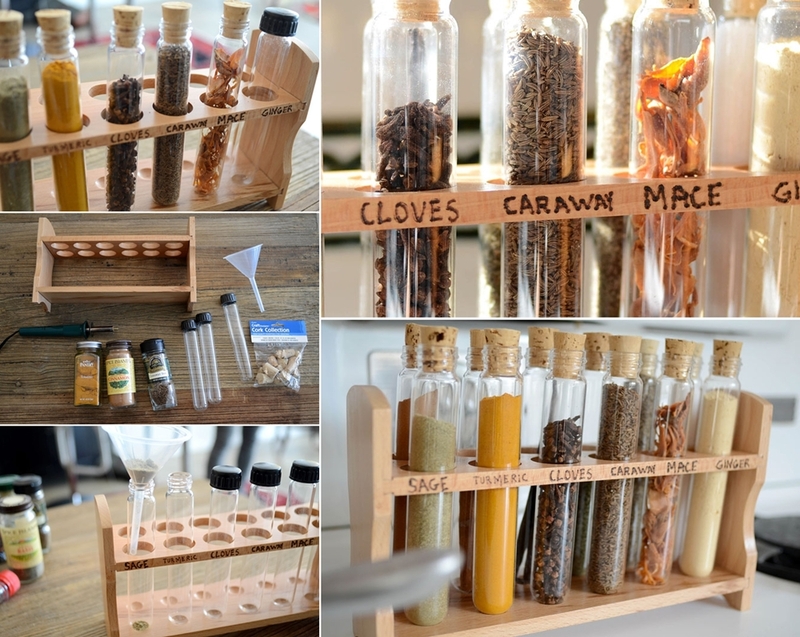 Purchase a test tube set with its rack and store your spices in them. 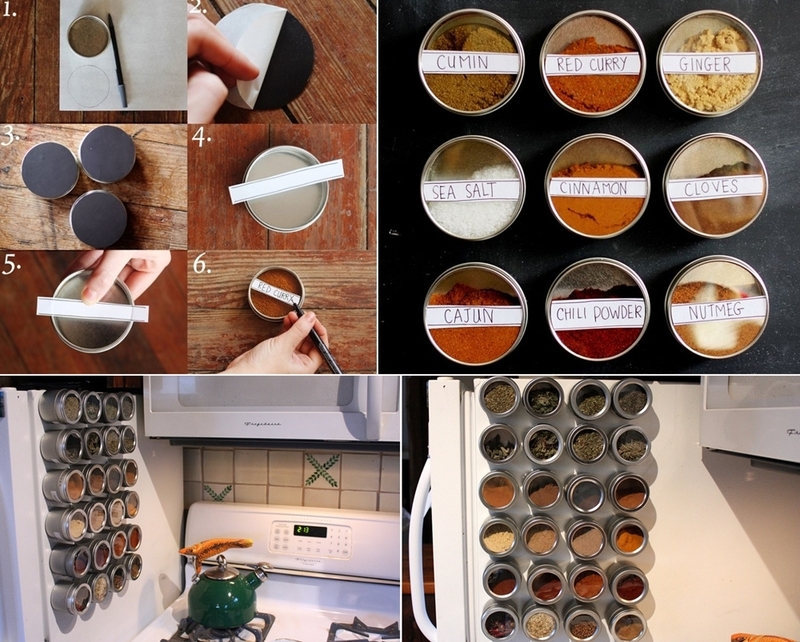 Label magnetic spice containers and transfer your spices to them. Then stick them to the surface of the fridge. 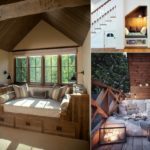 This idea will save you a lot of space and looks visually pleasing too. 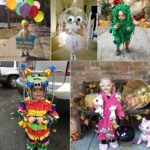 The labels are just for convenience and you can leave them off if you are skilled enough to differentiate them by sight. 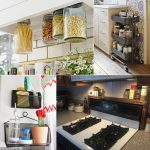 Picture ledges installed on the backsplash can house a long row of spice jars all at one place. 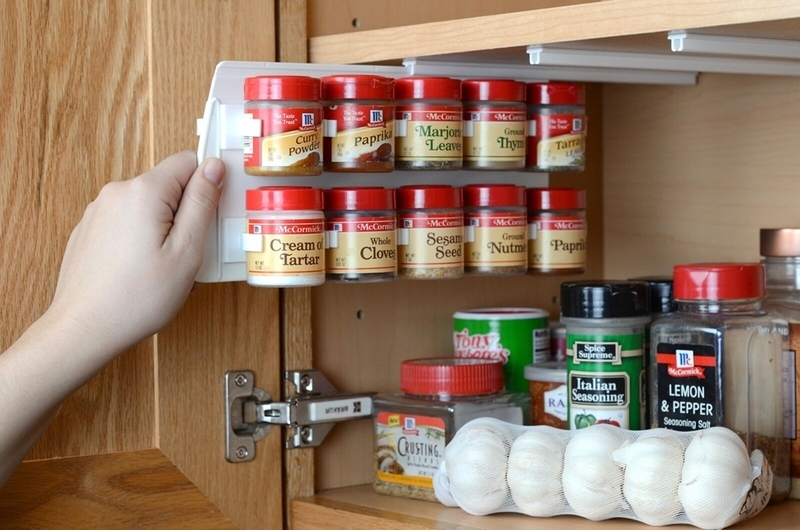 There are some spice racks that can be installed at the underused vertical space inside the cabinet shelves. 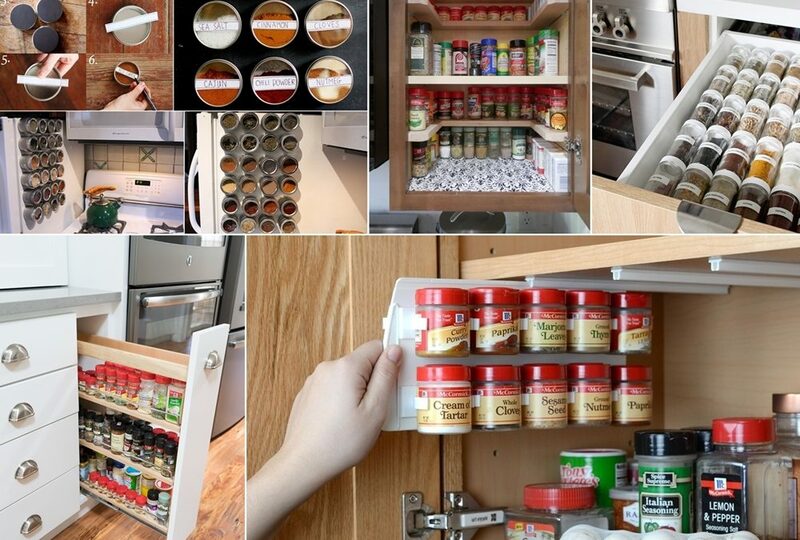 To make things convenient it comes with a pull-out design so that you can easily reach the spice jars even at the back. If you come across a vintage drink crate in a flea market then keep it. 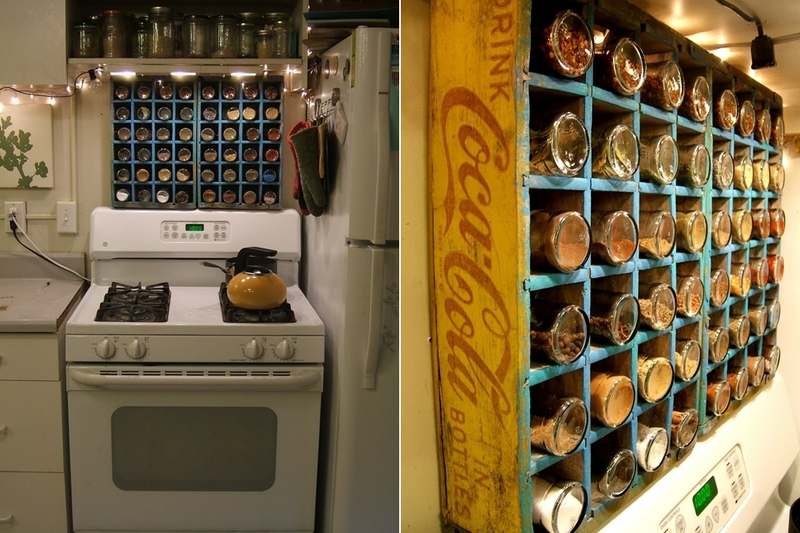 Bring it home and after cleaning and some touching up, turn it into a spice rack. 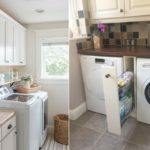 IKEA products are most of times multi-purpose. 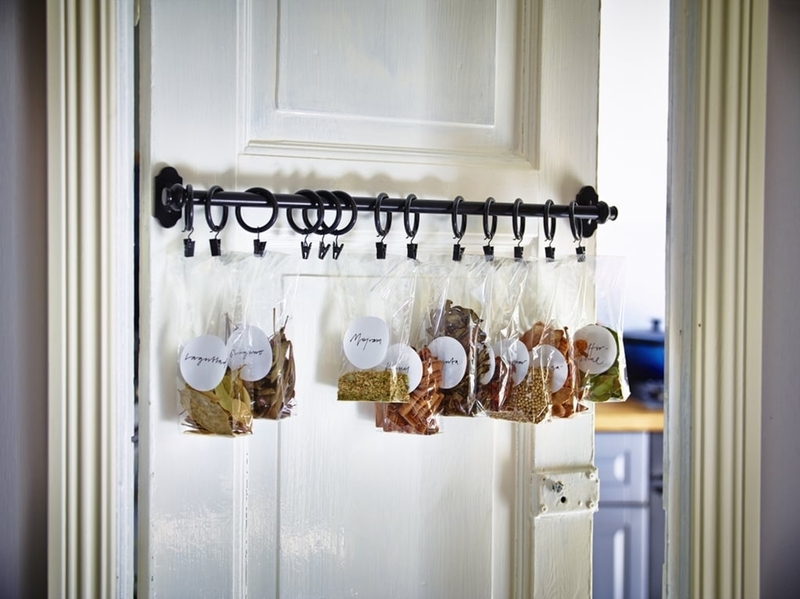 So , get a rail system with clips and store your spices in labelled plastic bags. 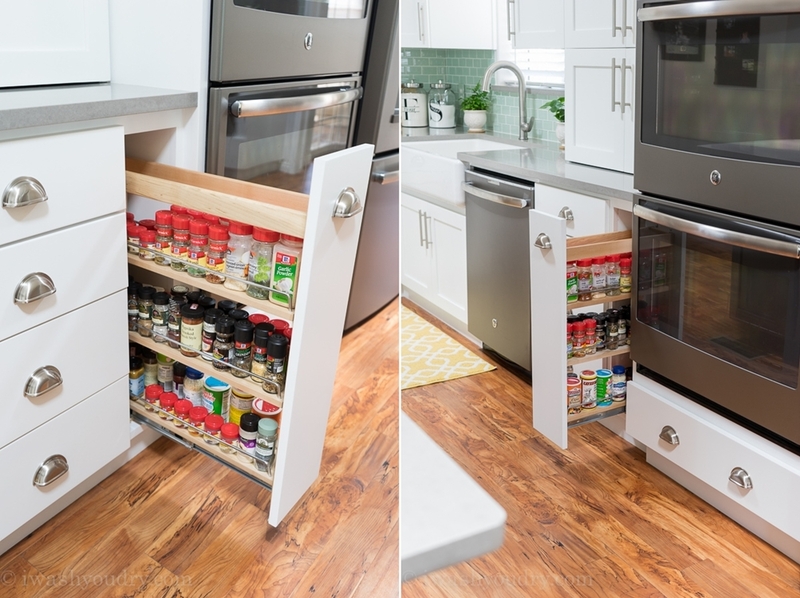 There is often some dead space at the side of the stove which can easily provide a home to a spice rack that is narrow. 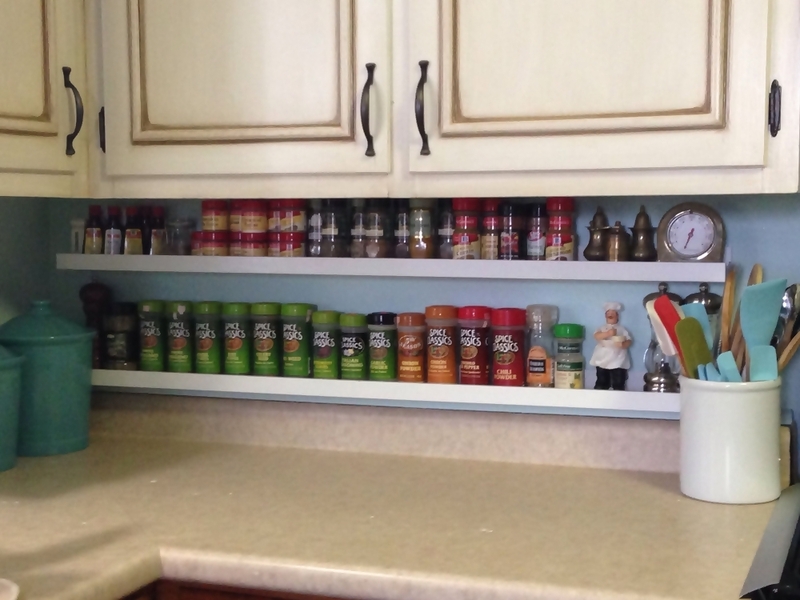 There is a common problem that almost everyone faces while storing the spices and herbs in cabinets. Too often we don’t get to know what’s behind the front ones and we end up with doubling up or expiry of the products. 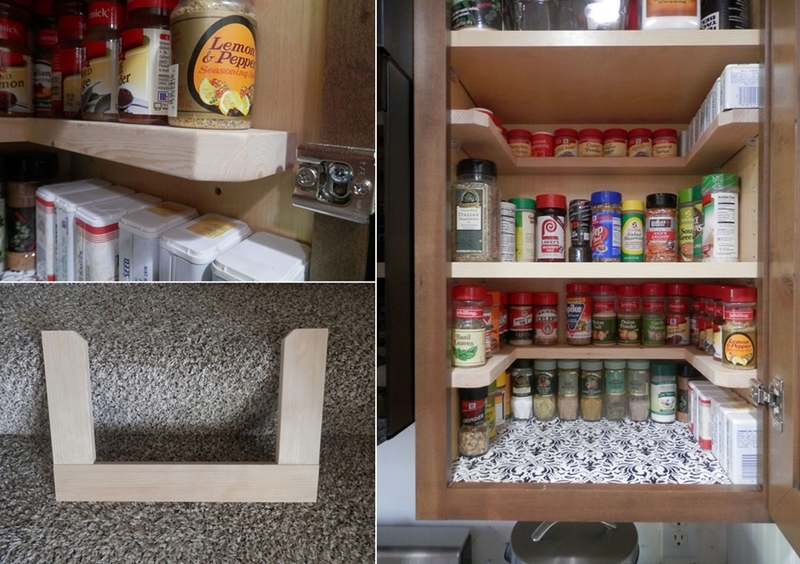 To avoid that you can fix shallow U-shaped shelves inside the cabinet to reach everything equally. 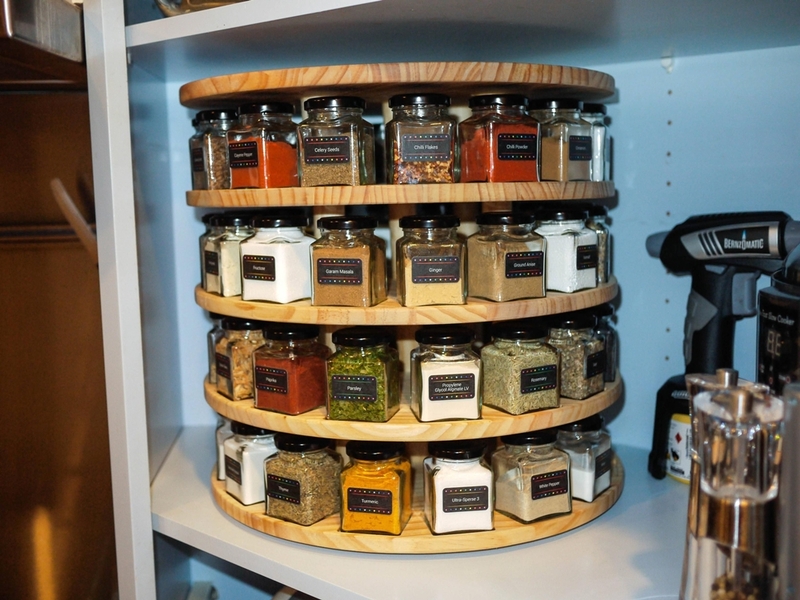 An excellent storage system for organizing spice jars is a carousel. 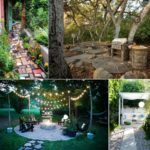 It looks very neat and is fun to use as well.